The final turbine has now been installed on China’s massive and controversial Three Gorges Dam, making it the biggest hydroelectric dam in the world. Work on the dam, which is located in the middle of the Yangtze River, began in 1994, and its construction cost a total of more than $50 billion and displaced at least 1.3 million people. The enormous dam will be extremely productive, though; with the installation of the final turbine, the dam now has a capacity of up to 22.5 gigawatts, which is about 11 percent of the China’s total hydroelectric capacity. The good news is that the completion of the dam will mean less coal power for China. “The complete operation of all the generators makes the Three Gorges dam the world’s largest hydropower project, and the largest base for clean energy,” Zhang Cheng, general manager of the project’s operator, China Yangtze Power, told a ceremony. But it comes at a significant cost. The construction of the 185-metre dam and 600km reservoir forced 1.3 million nearby residents to relocate, and according to The Guardian, the Chinese government has acknowledged that the dam will likely cause earthquake and landslide risks to increase. 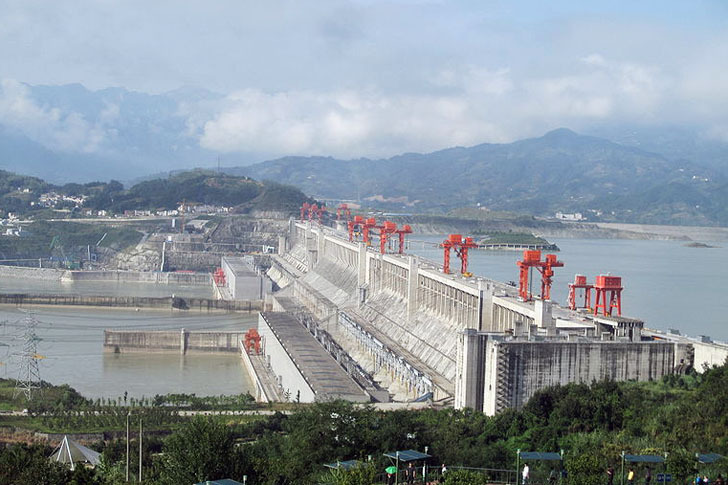 The completion of the Three Gorges Dam is a big achievement, but the Chinese government isn’t stopping there. The country has announced plans to bring another 140 gigawatts of hydropower online between 2011 and 2015. The final turbine has now been installed on China's massive and controversial Three Gorges Dam, making it the biggest hydroelectric dam in the world. 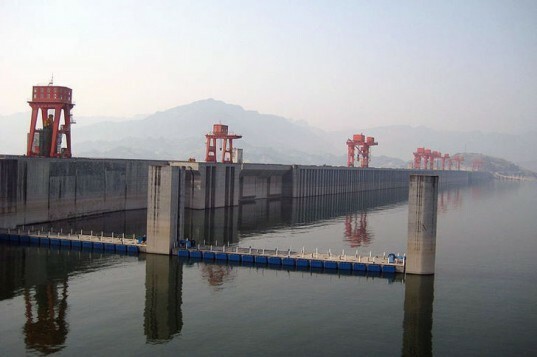 Work on the dam, which is located in the middle of the Yangtze River, began in 1994, and its construction cost a total of more than $50 billion and displaced at least 1.3 million people. The enormous dam will be extremely productive, though; with the installation of the final turbine, the dam now has a capacity of up to 22.5 gigawatts, which is about 11 percent of the China's total hydroelectric capacity.